The changing features of social and economical life in the 6th century BC were closely linked with changes in religion and philosophical speculation. The conflict between the established orthodoxy and the aspirations of the newly rising groups intensified this process. Numerous religious sects arose in the middle sects arose in the middle Genetics basin in the 6th century BC, the most famous amongst which were Buddhism and Jainism. The origin of Jainism is shrouded in mystery. In the Rig Vedic hymns, there are clear references to Rishabha and Arishtanemi, two of the Jaina Tirthankaras, Rishabha was described as the incarnation of Narayana in the Vishnu Purana and Bhagavata Purana. The Jainas believe that their religious system is the outcome of the teaching of the twenty four tirthankaras, all of them being Kshatriyas. The first twenty-two Tirthankara are so legendary is character that it is hardly possible to say anything about them. One of them named Parsvanatha, seems to have been a real historical personage. Parsvanatha seems to have left a well formed organization behind him. The parents of Vardhamana Mahavira and the members of his family were the followers of Parsavnatha’s order. 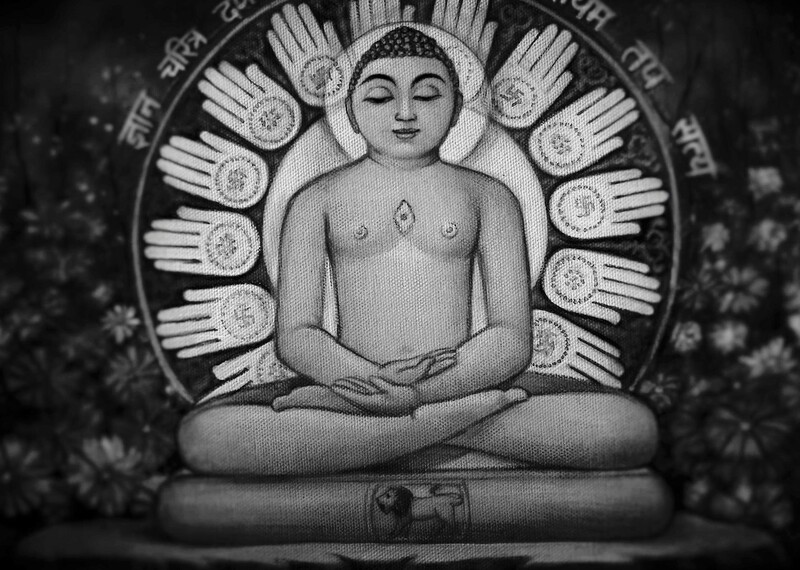 The next and the last Tirthankara was Vardhmamana Mahavira himself. Though there are said to be twenty-four Tirthankara in the present cycle, most of them are known only by their names and symbols. According to one tradition, Vardhamana Mahavira was born in 540 BC, in a village near Vaishali, which is identical with Basarh in the district of Vaishali, in North Bihar. His father Siddhartha was the head of a famous Kshatriya clan and his mother was Trishala, the sister of the Lichchhavi Princess Chief Chetaka, whose daughter was wedded to Binbisara. Mahavira’s family was connected with the royal family of Magadha. In the beginning, Mahavira led the life of a householder. His wife was named Yasoda and his daughter was named Anojja. 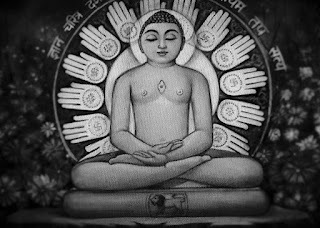 In the search of truth, Mahavira became as ascetic at the age of 30. He kept on wandering for 12 years from place to place. At the Age of 42, he attained Kaivalya (perfect knowledge) at Jimbhikagrama on the bank of river Rijupalika under a Sal tree. Through, Kaivalya he conquered misery and happiness. Mahavira got acclaimed as a Tirthankara, a Kaivalya (Supreme omniscient), A Jina (conqueror) and an Arhant (blessed one). He propagated Jainism for 30 years and his mission took him to Kosala, Magadha, Mithila, Champa etc. He passed away at the age of 72 in 468 BC at a place called Pavapuri near modern Rajgir. He became the head of a sect, called nirgranthas (free from all the bonds), who later came to known as Jinas. • Jainism believed the entire world to be animated, including stones, rocks and even water. It believed in the principle of Ahimsa or non-injury to living beings, especially to humans, animals, plants, and insects. The cycle of birth and rebirth, in Jainism, was shaped through Karma. Asceticism and Penance were the two pre-requisites for freeing oneself from the cycle of birth and rebirth. • Monastic Existence: It was a necessary condition of salvation. • Ahimsa (non-violence) to cause no harm to the living beings. • Satya (Truthfulness) to always speak the truth. • Asteya (Non-stealing) not to posses anything which isn’t willingly offered. • Brahmacharya (Celibacy) to exercise control over one’s senses and to keep them free from indulgence. • Aparigraha (possession) to observe detachment from people, places and material things. • Jainas believed in the dualistic principle of Jiva (eternal soul) and Ajiva (eternal element) everywhere. The Jiva acts and is effected by acts, it is a knowing self; the Ajiva is atomic and unconscious. Every object is an agglomeration of Ajiva, with at least one Jiva enmeshed in it. Thus, Jainism believed even non-living substances to be also possessing a life which shouldn’t be thus animals were believed to have three or more Jiavas. To eat things with three jvas was forbidden as it involves a breach of the basic law of Ahimsa or non-injury. A code of conduct was prescribed both for the house holder and for the monks. A householder was supposed to follow the five anuvratas viz. Non-injury, Non-stealing, Non-adultery, Speaking the truth, Non-possession. The followers of Mahavira came to be known as Nirgranthas. A Jaina monk had to observe certain as Nirgranthas. A Jaina monk had to observe certain strict rules and was to abandon all worldly possessions.